Sorpo Rohoshyo Sundorbone by Suchitra Bhattacharya is a Children Thriller bengali novel which is written by Suchitra Bhattacharya. Suchitra Bhattacharya was one of the prominent Bengali women writers of recent times. She was born on 10 January 1950 in Bhagalpur, India and was died on 12 May 2015 in Kolkata, India. Suchitra Bhattacharya was interested in writing from her childhood. The Author graduated from the Jogamaya Devi College under University of Calcutta. After graduation she married. Suchitra Bhattacharya became one of the popular writers of Bengal after publication of the novel Kacher Dewal (Glass Wall). She received several awards which include Bhuban Mohini Medal, Nanjanagudu Thirumalamba National Award, Katha Award, Tarashankar Award, Dwijendralal Award, the Sharat Puroshkar, Bharat Nirman Award, Sahitya Setu Award etc. Most popular books of Suchitra Bhattacharya are Kachher Manush, Dahan, Kacher Dewal, Hemonter Pakhi, Neel Ghurni, Aleek Shukh, Gabhir Ashukh, Uro Megh, Chhera Taar, Alochhaya, Anyo Basanto, Parabas, Palabar Path Nei, Aami Raikishori, Rangin Pritibi, Jalchhobi, Gopon Maya etc. 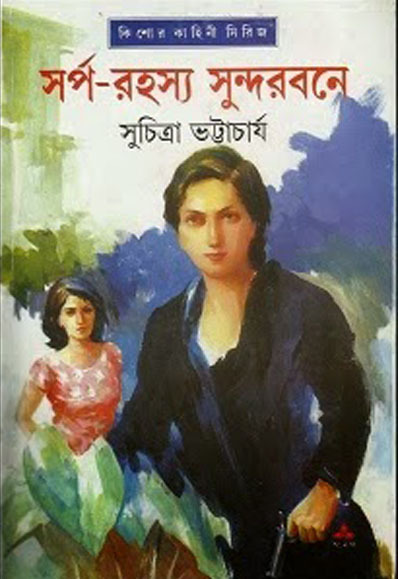 Download Suchitra Bhattacharya Novels, stories, Bangla books, Short Stories, Articles in pdf format and read Sorpo Rohoshyo Sundorbone by Suchitra Bhattacharya.